At Dar al Hossoun, we have restaurant and catering services available for our guests and to those staying elsewhere in Taroudant and around. Whatever you do during the day, be sure to visit us and taste one of our delicious meals whether you fancy fusion or traditional cuisine. 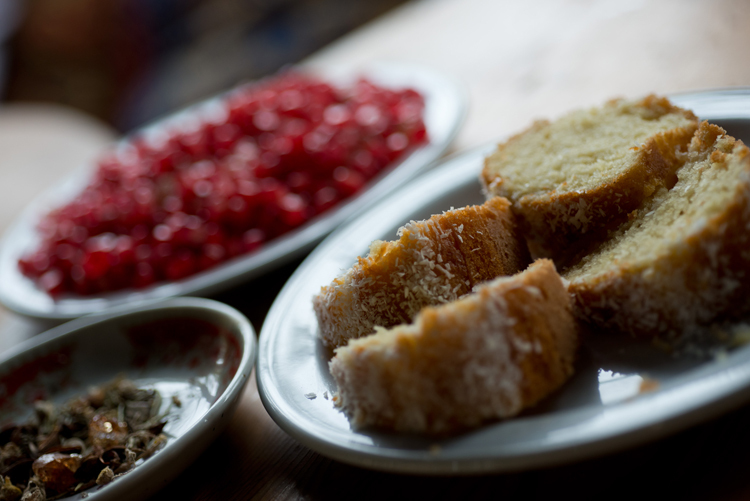 We serve local delicacies and more such as salads, tagines, couscous, mechoui, grilled fish, Creatan ‘dakos’, homemade Italian ravioli, Greek roasted aubergines and pastries. Our ‘menu of the day’ changes daily and is prepared using natural and local products. 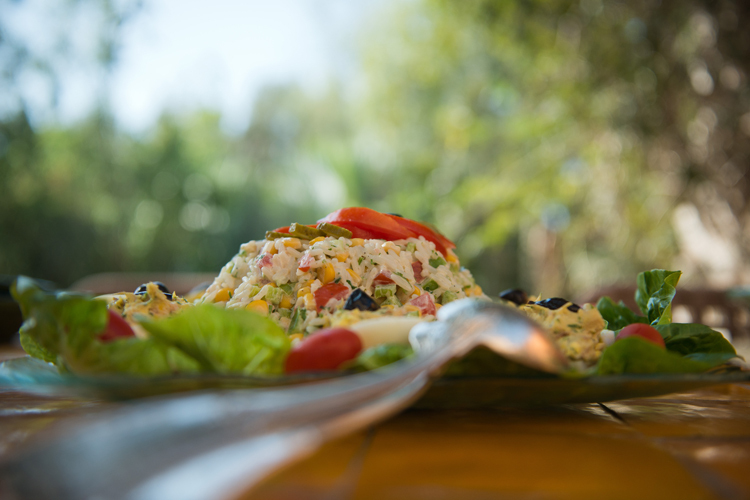 At Dar al Hossoun we can cater for specific requests such as salt or gluten-free or vegetarian diets. 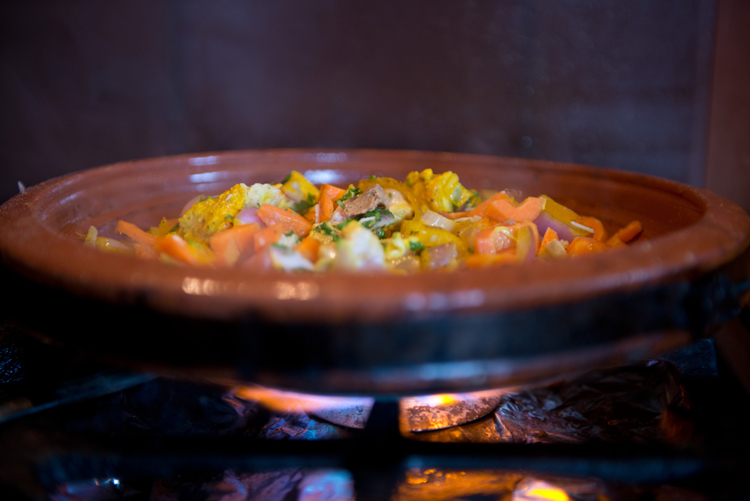 Our restaurant also offers cooking classes and demonstrations in Moroccan cuisine using local products, spices and traditional recipes. Guest table / Table d’hôtes bookings for guests staying elsewhere: welcome tea + free garden visit if desired + 3-course lunch, including still mineral water (220dhs/pers.). Light lunch: 2-course lunch, lighter in meat or fish (190dhs/pers.). 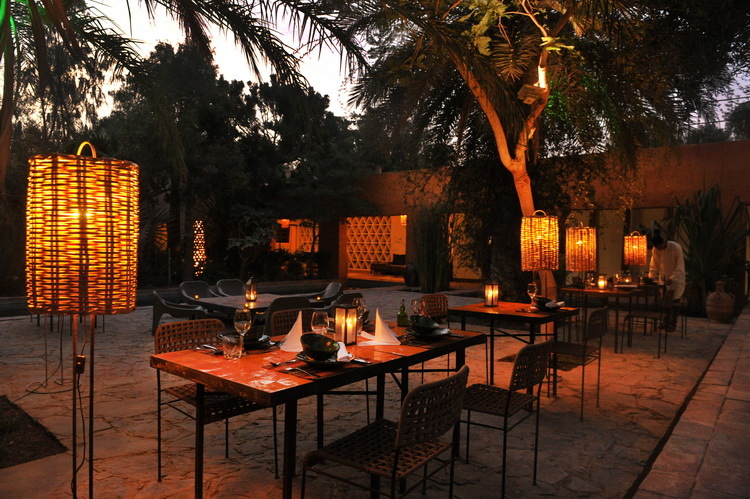 Dinner: free garden visit if desired, “apéritif” snacks, still mineral water (other drinks available from our menu), 4-course meal (2 starters, main dish and desert), including still mineral water (270dhs / pers.). Pool extra (including sunbed and towel): +60dhs/pers. For our guests… Breakfast: included in the room rate. Lunch: 3-course lunch, including still mineral water (170dhs/pers.). Light lunch: 2-course lunch, lighter in meat or fish (130dhs/pers.). Dinner: “apéritif” snacks, still mineral water, 4-course meal (2 starters, main dish and desert), including still mineral water (220dhs/pers.). Note that bookings registered in half or full board allow us to apply the same discounts as on the rooms (3 nights and more).